Friday is here peeps and tomorrow begins the fasting month of Ramadhan for Muslims around the world. Happy fasting and...here we go! 1. I remember, I remember the first time we met. 2. Dear Meows I want you to know that Master loves you guys very much. 3. Is that my favourite coffee brand on sale this week!!??? 4. I'm trying to resist the temptation of Nasi Lemak. 5. I'm saving a kiss just for you! 6. If I made a birthday list a brand new perfume gift set would definitely be on it!!! 7. And as for the weekend, tonight I'm looking forward to watching Nur Kasih on TV since I missed last week's episode, tomorrow my plans include relaxing all day since I'd be tired and hungry from fasting and Sunday, I want to break fast with B some place nice! :* :* :* :* :* Marvic! Meow 1! 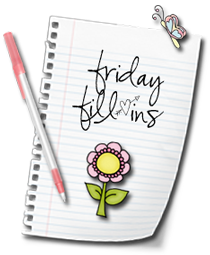 TGIF Mariuca! tomorrow begins the fasting month?? =-O =-O so fast ah? Nemind so long u chop first, then log in la he he! Yeah Mon, me fasting tomo it seems, must drink coffee till late night tonight he he! Thanks Mon, 30 days to go! HAHAHAHHAH I doubt it la cause sure wan to eat all the yummy food when break fast that time! Sometimes BR is on sale Mon, at shell kiosk 1.80 instead of 2.
yeah Mariuca! i don know why i said oct hahahahhaha! LOL maybe dat time u sleepy, blur Mon ha ha! My babies are all sleeping now too! the all just pigged out on their favorite food. ;)They always have dry food out to eat. but, they only get one can of wet a day!! It's their treat for being good even when they are being bad..lol!!! Recent blog:=- An Award in French! Seeing if today I can manage to get this comment posted.